Project Avocado was inspired by the Fall 2015 Do Tank Food Waste Challenge. It is a platform for students, to share their excess (and still consumable) food with other students, before it goes to waste. 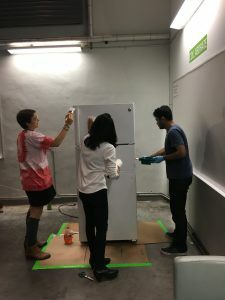 This not only helps to feed those who need food, but also helps to build a stronger student community; at the same time, it reduces food waste. The feasibility of using NYU ID cards to electronically unlock a cupboard or a refrigerator to store the food and also display the date when the food was stored. Explore the kind of foods which the students are willing to share or take. The data obtained will be valuable as it will help understand the feasibility of the system, and give us insights of how we can bring down food waste across cafeterias and various events of NYU. 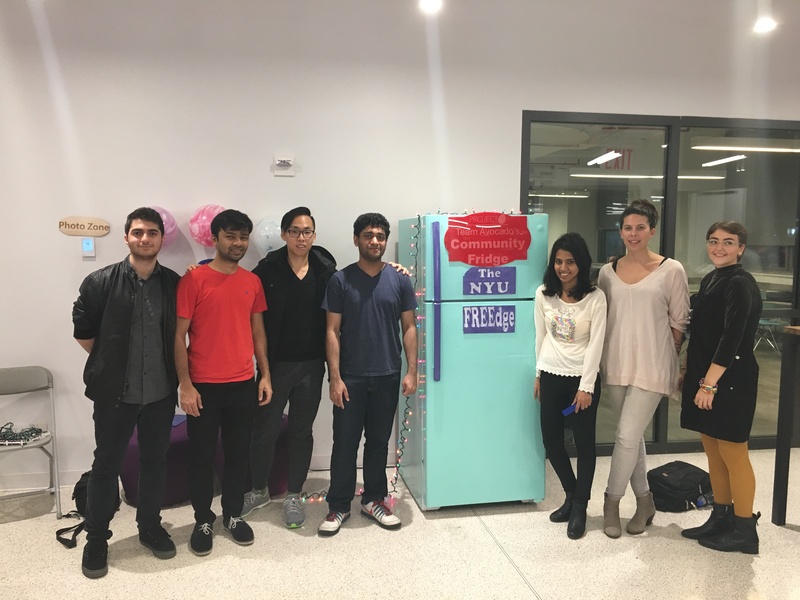 In Fall 2016, the team applied for the NYU Fall Prototyping fund, and was one of 13 teams out of 56 to receive the fund. 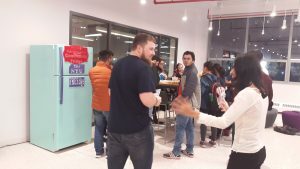 Throughout the semester, the team sought insights from organizations such as NICE and Sharemeals to build the prototype. 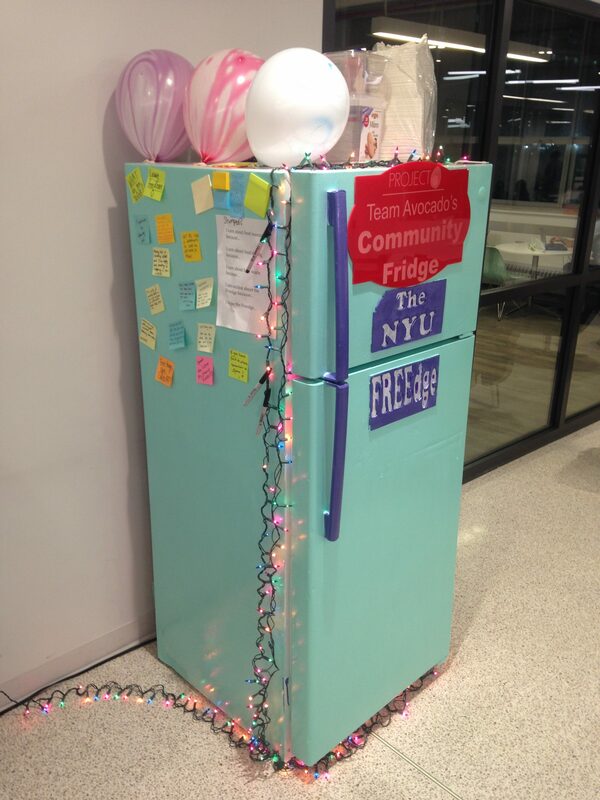 The team also worked on the affordability issue by trying to help reduce food insecurity across NYU. The team was selected for the phase 2 of the prototyping fund to be continued in Spring 2016. During the Spring 2016, we prototyped a couple of features (e.g. an Ipad interface, a color-sticker system to know when the food was put in the FREEdge) and we eventually purchased a new transparent FREEdge. 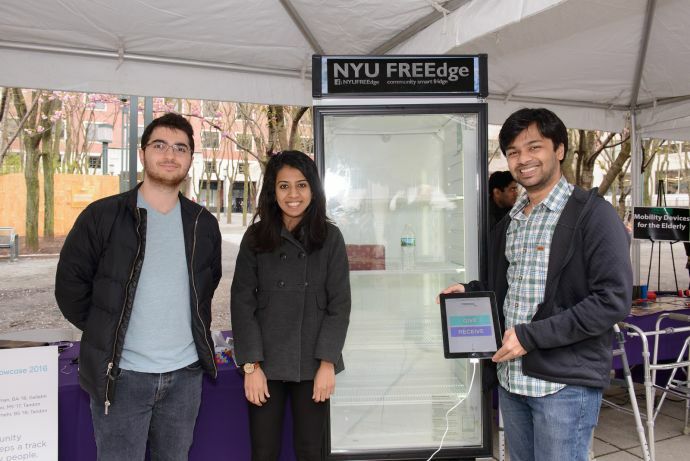 The team build a prototype called the NYU FREEdge, which is a smart community fridge. 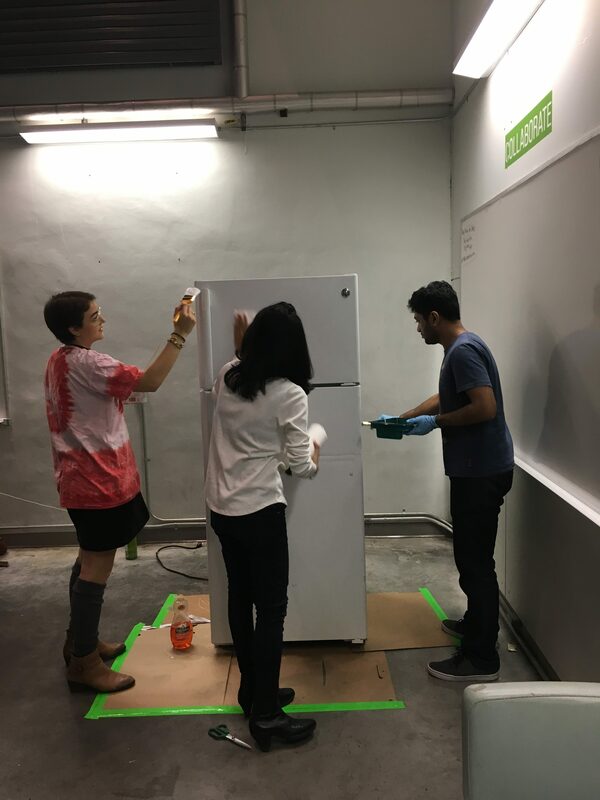 The team worked on repainting the refrigerator and moving it to a new location in the MakerSpace Foyer. 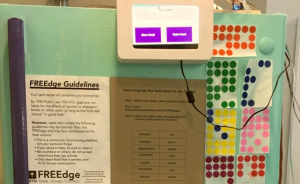 A Raspberry-pi based system was used to collect data through card swipes. 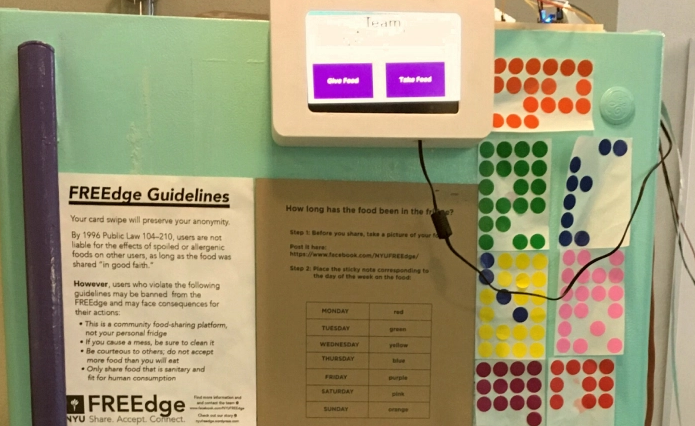 A touch display was used to collect the information such as the types of food and allergens. From the observation of the team, there is a huge traffic of students trying to receive leftover food from various events across NYU Tandon School of Engineering, and the prototype is well received. As we had a number of issues with the Raspberry Pie (technical but also a not very user-friendly interface), we prototyped an Ipad interface, which was more user-friendly and better received. Yet, it did not seem to be really adding much to the users’ experience (from observations and feedback). We also realize that users did not want to take extra time to fill in information about the food. Another feature we prototyped based on users’ feedback and the need to know when the food was put in the FREEdge was a simple color-system with stickers. This appeared to be useful and well-received. Last, we realized that the transparent fridge by its transparent nature helped us provide users with a quick knowledge of what was in the fridge and that this was important information for them. We learned a lot during these 2 semesters but we still have a lot of questions to explore and hypotheses to test. The project will continue in Fall 2017.